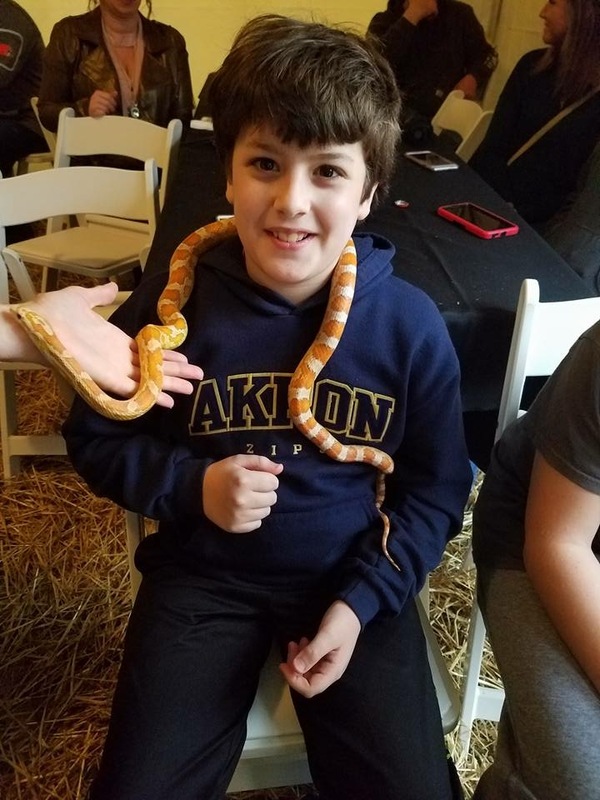 Realm of the Reptile is an hands-on entertaining and educational presentation perfect for: Parties, schools, camps, YMCAs, libraries, clubs, churches, celebrations & more! 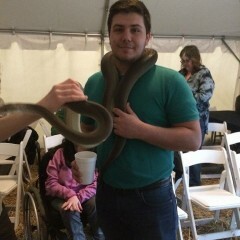 Realm of Reptiles was FANTASTIC! Marissa is very energetic and she knows her stuff. She is very knowledgeable and great with the kids. The adults also enjoyed her program. Highly recommend. Everyone loved Realm of the Reptile! The program was fun, educational, and involved everyone! This girl is awesome! So energetic and had a great connection with the kids everyone talked about what an amazing show it was! 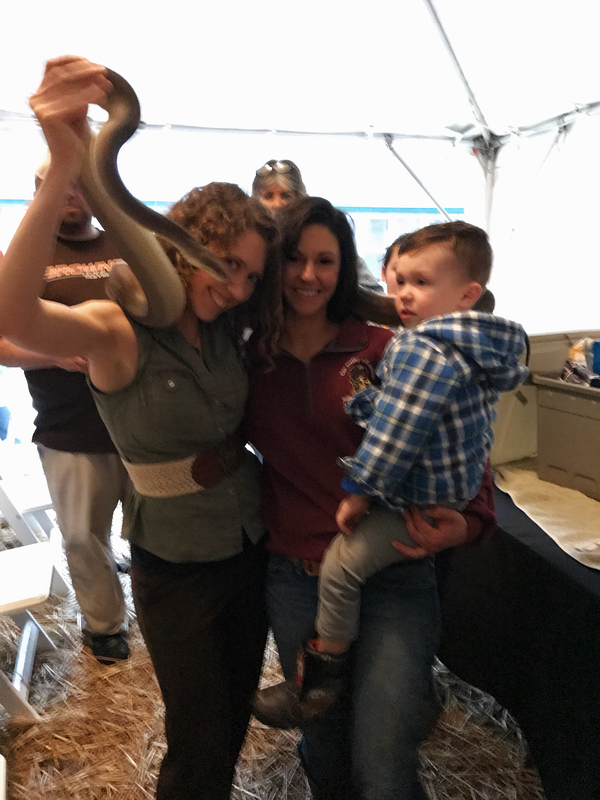 She kept the kids so intrigued and entertained, her knowledge of reptiles and her interaction with the audience, everything was more then I could ask for. I have definitely recommended her to everyone I know and will be having her services in the future. 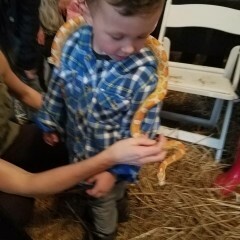 Realm of the reptile entertainer did my sons 7th birthday party and was absolutely amazing. 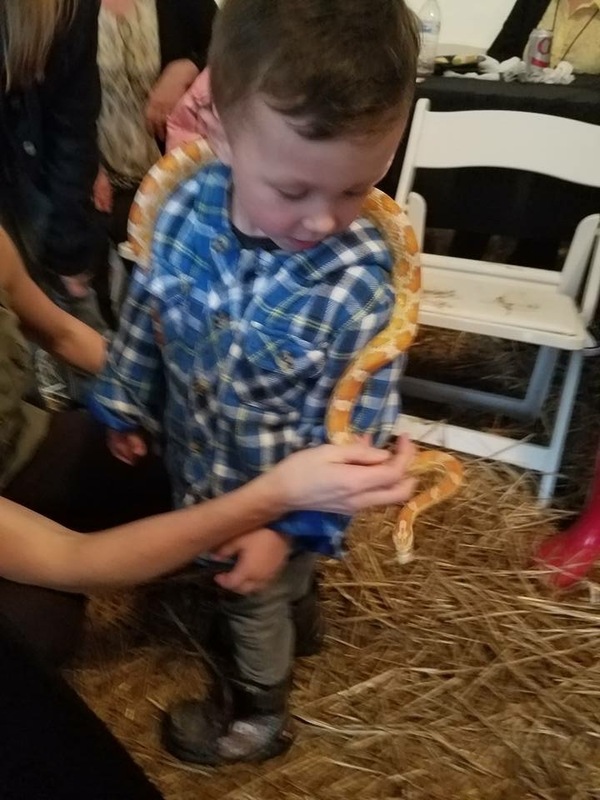 She was able to keep everyone attention and even the adults couldn't wait til they seen what reptiles she would grab next, and there was alot of kids and adults... Highly recommend her show! !...Realm of the Reptile Rocks!!! Thanks so very very much!!!! Marissa did an amazing job at keeping our kids' attention, which is a difficult thing to do. She was so great in how she explained each creature! Both the kids and adults were captivated! 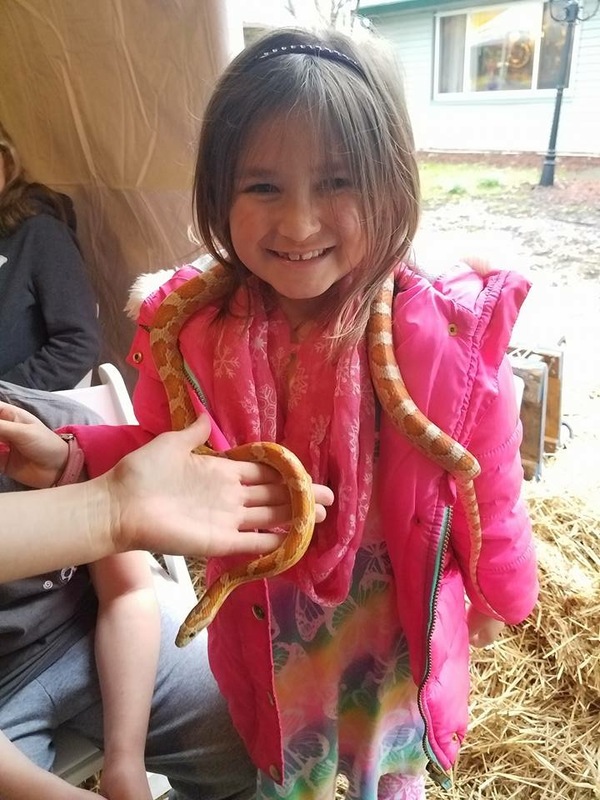 You can really tell how much she loves what she does and how much she loves reptiles. If you're looking for someone who has upbeat energy, a wealth of knowledge and someone who is just sweet as can be...hire Marissa. You won't be disappointed. Thank you so much. You all are wonderful over there and it was an absolute honor to work with you! Not only was Marissa entertaining, she was very informative and interactive. Everyone loved her and her friends and she is a must have at any event! Danielle! Thank you for your great hospitality! I'm glad I was able to share with your kids. :) I appreciate your kindness and for taking the time to write a review! Cheers! Made my son's birthday extra special for he and his friends! 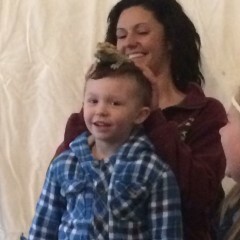 Marissa put on a fun and entertaining reptile show for my son's 9th birthday party. The weather took a turn for the worse but she kept the show going. Highly recommended! Everyone loved it! She was very entertaining! 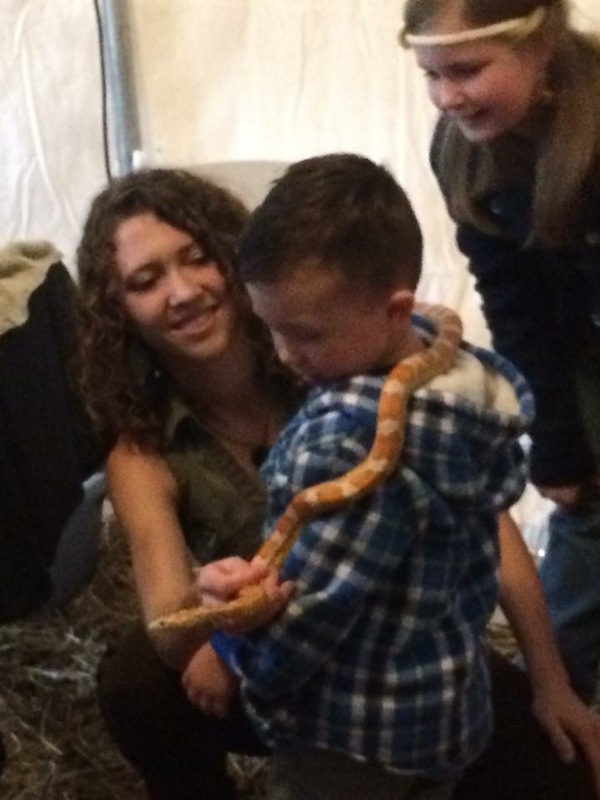 Marisa had all of the children's attention and she explained the animals to the children very well.. I would recommend her to all my friends and I would definitely book her again! 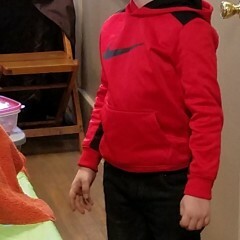 The birthday boy had a smile that was priceless! I loved the way she kept the children engaged! The show gave the children lots of hands on and learning opportunities. 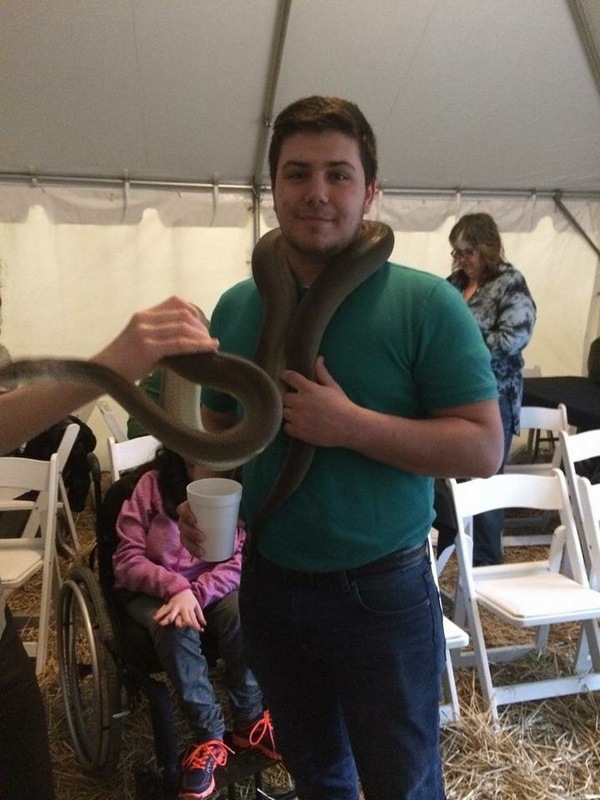 Thank you hosting Realm of the Reptile. Engaging, interesting show -- perfect!!! 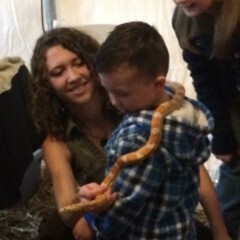 Marissa and her father came to our house for a reptile show during my son's 7th birthday party. 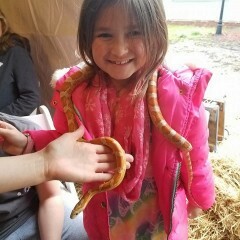 The animals were cool and Marissa's style of presentation was very engaging. The kids literally sat in a room for an hour and were enthralled!!! 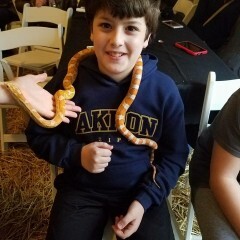 Everyone -- including the adults who watched -- thought it was a wonderful addition to the party! I can't say enough positive things. Thank you so much, Lynn! You and your family were absolutely delightful!! Thank you for your hospitality and generosity. In the near future, your son's picture will be posted on our Facebook page (www.Facebook.com/RealmoftheReptile)--make sure you see it! My children and I made a special trip to Berean (Christian Book Store) to see Marissa's presentation of Realm of the Reptile. 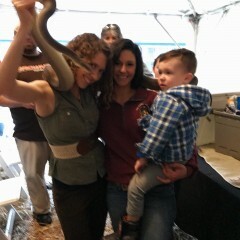 I had every intention of standing in the back and letting the kids get up close....but Marissa was so professional and educated with handling the animals that it took my "fear" away and I actually intereacted just as much as the kids! 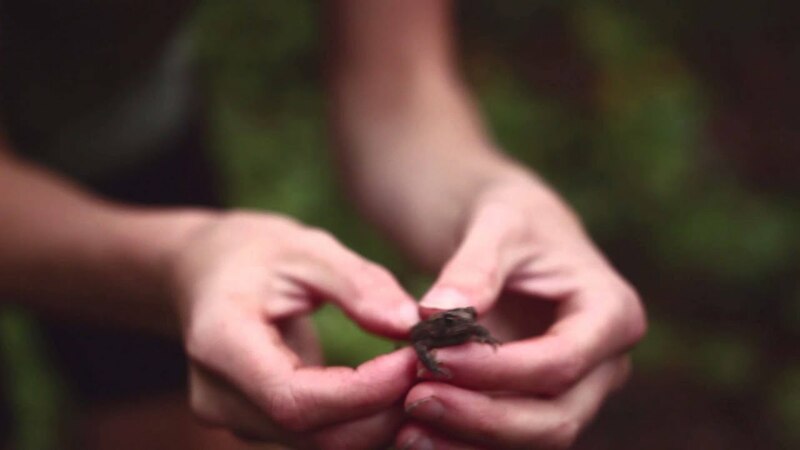 She is extremely knowledgeable on each species and creates such an entertaining presentation that you don't realize you are being educated on these amazingly interesting creatures! I love the little facts she shares about why each animal has particualar abilities or features. Marissa had about 30 children engaged in her presentation which was very impressive, considering they all ranged in age from 2 to about12! I would highly recommend Realm of the Reptile for any occassion that would be suitable. The presentation is enlightening, unique, and fun for children as well as adults! I feel privileged to have experienced it! My son and I got to see her show at "Dinner with Dad" for his 1st grade class. You could really tell how much she enjoyed working with all the kids, and her love for her animals really stood out. I was pretty surprised at how well she was able to not only hold the kids attention, but when they got a little loud and excited she was able to reel them back in very quickly. First grade teachers would be proud, if not a little jealous. I was pleased to discover that she also does shows at churches, where she mixes her love of Christ with her love of animals. The inclusion of Christ in her stories and teachings is something I would love for my kids to attend. I love this educational and entertaining show for all ages! Marissa's bubbly personality and her love for this area of study shines through in her presentation. 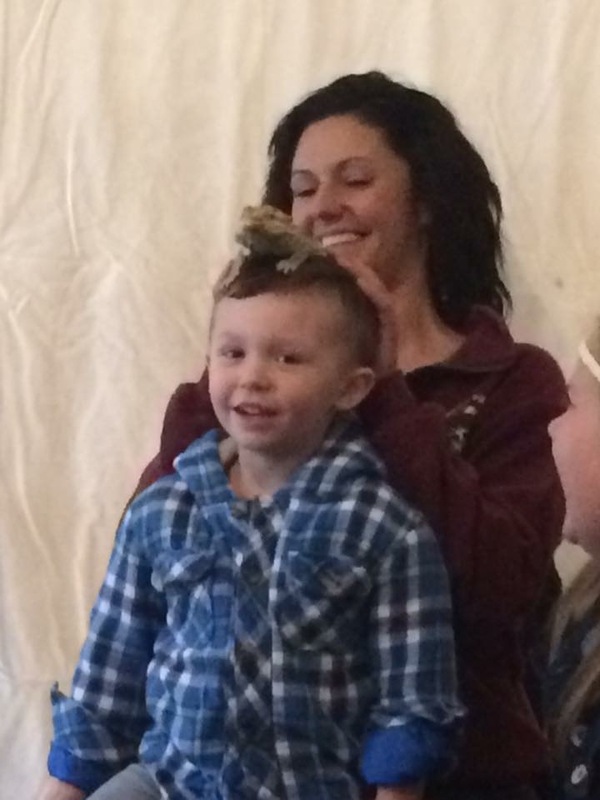 She shows the most interesting reptiles and even invites the audience up to experience them firsthand. 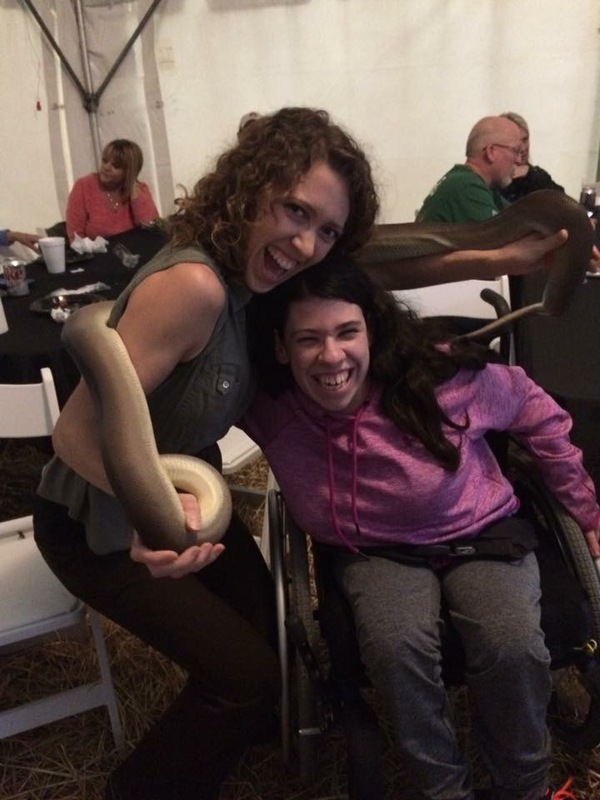 She can turn even the most scared and squeamish into fans of reptiles! With 15 years of experience, Marissa Dubina (B.A. 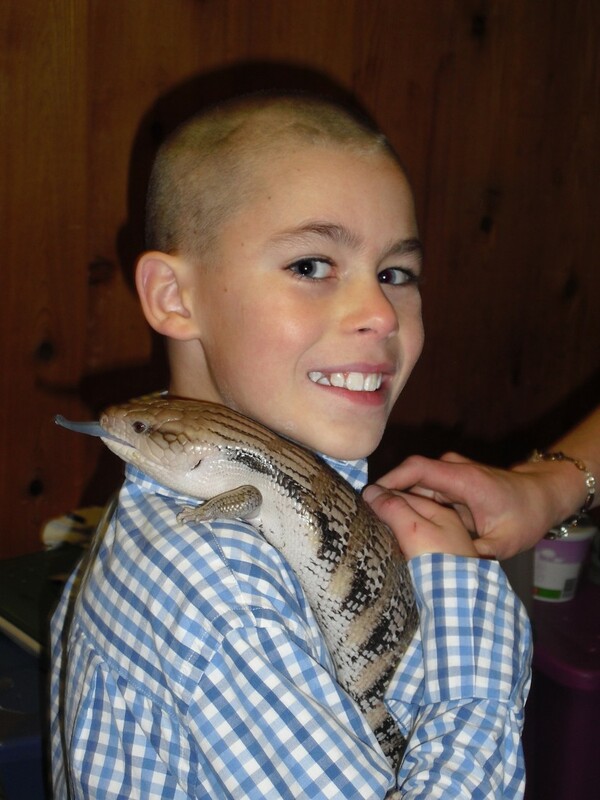 Biology) gives exhilarating hands-on reptile presentations to people of all ages. Eyes open as Marissa shares the riveting world of reptiles. Her 20 to 60 minute presentations pique everyone’s interest and give participants a memorable, tactile experience to cherish for years to come. 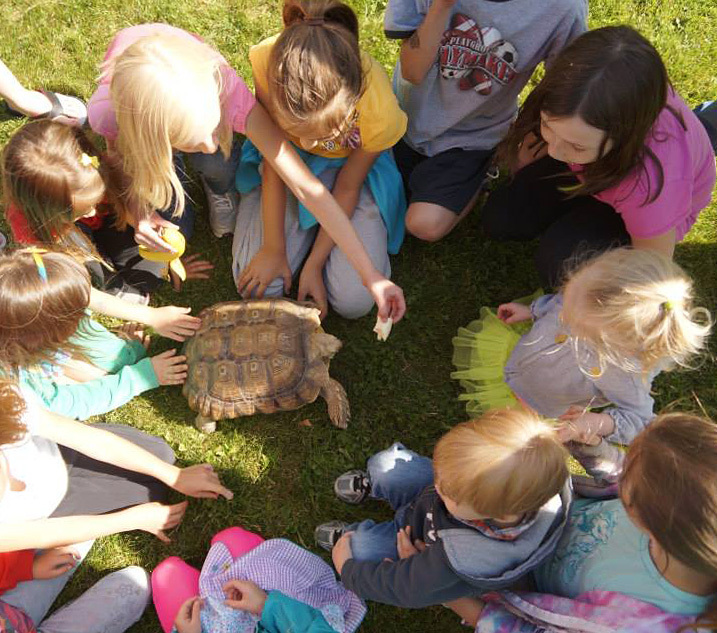 Attendees interact with a large tortoise, lizards, and even sssnakes! 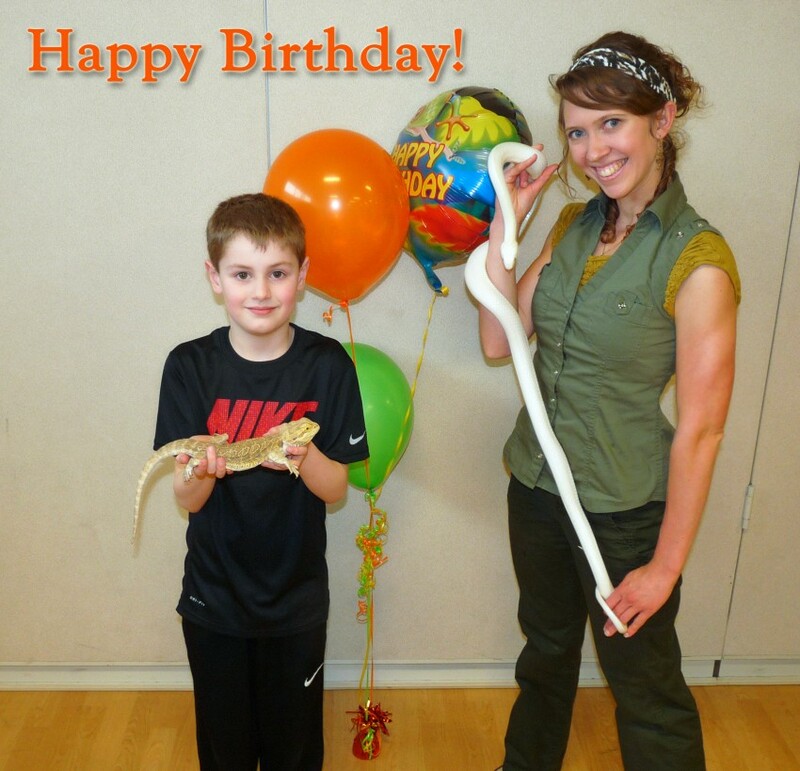 Marissa has also been breeding reptiles for 8 years, and has worked with many indonesian pythons. She was nominated at one of the 2012 Most Interesting People in Stark County. She is also an avid actress (Living HIStory Dramas) and has been performing theatrically since age 16. 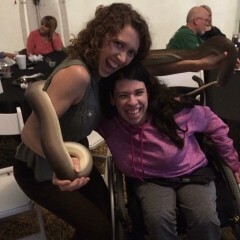 With undying energy, Marissa Dubina incorporates theatrical enthusiasm into every Realm of the Reptile performance! She has also been on the Discovery Channel's "Snaketacular." In order to enhance maximum learning, please have 30 or fewer people per showing.